The best things in life are free—including over 86% of our programming! These ongoing programs raise awareness among and inspire audiences while preserving the cinematic culture in Utah. We provide a curated platform for independent voices year-round. We collaborate with educational and community organizations–including the University of Utah, Utah Pride Center, KUER, and the Sundance Institute–to champion underrepresented voices and perspectives, and encourages diversity, empathy, and community-building, while developing new audiences for film. Our screening venues in Salt Lake City include the Salt Lake City Public Library and the Rose Wagner Performing Arts Center, with special event screenings at the Utah Museum of Fine Arts amongst others. At least twelve times a year, Utah Film Center places community members in direct contact with filmmakers, through receptions and post-film discussions, providing the community with a behind-the-scenes view of the cinematic process and cultivating an appreciation for film. Additionally, we curate and organize two film festivals every year. Tumbleweeds Film Festival for Children and Youth is the only festival of its kind in the Intermountain West, catering to our community’s youngest moviegoers and fostering the next generation of filmmakers and film fans. Our longest-running program, the Damn These Heels film festival, celebrates our community’s diversity by sharing LGBTQ history, culture, ideas, struggles, and triumphs through film. In addition to film screenings, the Utah Film Center provides media arts education programs for students and teachers statewide through in-classroom activities, field trips with visiting guests, and accredited teacher professional development. Our Artist Support programs include fiscal sponsorship, which has over 120 active projects and has had over 20 works premiere at the Sundance Film Festival, and our Artist Foundry filmmaker co-working space supports independent filmmakers telling Utah-grown stories. Utah Film Center is Utah’s preeminent, year-round source for high-quality and curated film programming that features engaging and thought-provoking stories from around the world. 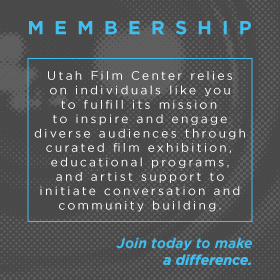 Utah Film Center is the only organization that provides free access to independent film in Salt Lake City on a weekly basis. 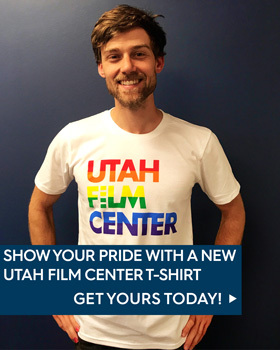 Utah Film Center is known for its annual film festivals, Damn These Heels, which is Utah’s only LGBTQ film festival, and Tumbleweeds Film Festival for Children and Youth, the only independent, international film festival for families in the mountain west. 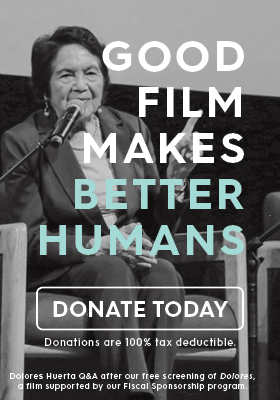 Through curated screenings, and our signature series, Through the Lens, which is offered in partnership with KUER’s Radiowest, Utah Film Center champions underrepresented voices and perspectives, and encourages diversity, empathy, and community-building. At least twelve times a year, Utah Film Center places community members in direct contact with filmmakers, through receptions and post-film discussions, providing the community with a behind-the-scenes view of the cinematic process and cultivating an appreciation for film. Educators, K-12, who desire to enrich their educational environment by incorporating media arts into the classroom, look to Utah Film Center’s media arts education programs for expertise and guidance. We are one of the few organizations in the country that provides professional development training in filmmaking directly to educators, training teachers to use media arts instruction as a tool to enhance the classroom climate, increase student achievement, strengthen teacher practice, and develop creativity and media literacy skills. The breadth of Utah Film Center’s media arts education offerings – from high quality professional development and standards-linked curriculum to bringing industry professionals and highly-curated resources into classrooms – is unparalleled in the mountain west. We are recognized by Utah State Board of Education as having high-quality, national and state standards-aligned programming and are a respected leader in delivering the transformative power of film to teachers and students across the state. Independent filmmakers determined to bring their creative visions to life, find extensive technical support, and a community of seriously creative artists, through Utah Film Center. Artist Foundry, a program of Utah Film Center, empowers local, independent artists to create fresh cinematic stories by providing community, resources, and infrastructure. 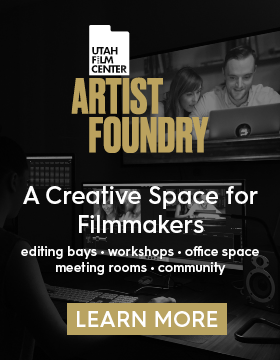 Through the Foundry, Utah Film Center offers a collaborative meeting and editing space; filmmaking workshops led by industry-experienced professionals; and connects emerging and experienced filmmakers to a network of passionate professionals telling high-quality, Utah-grown stories. Our fiscal sponsorship program is highly-regarded, personal, and has supported over 180 independent film projects; eight of these garnered Emmy and Oscar nominations and twenty-three premiered at Sundance Film Festival. Combined with Utah Film Center’s reputation for offering the best in independent, foreign and documentary films to engaging audiences in Salt Lake City, local filmmakers looking to realize their creative projects, from conception, to production and promotion, find the technical support they need, and a professionally elevated environment they crave, through our artist support. Film-lovers and filmmakers of all ages and backgrounds recognize the Utah Film Center’s professional expertise and deep industry networks provide them with unparalleled access to the best in independent, foreign and documentary film and post-film conversations with filmmakers, community leaders, and subject experts. Our staff embodies the dynamic, entrepreneurial spirit that is necessary to bring creative projects to life and cultivate an appreciation for film and cinematic processes that encourage lifelong curiosity. Local partnerships and conscientious decision-making ensure that our programming is responsive and accessible, and that Utahns from a variety of socio-economic, ethnic, political, gender and sexual non-conforming, linguistic and differently-abled communities feel welcome and safe. Utah Film Center strives to challenge perceptions through interesting and artistic storytelling and is an essential component of Utah’s cinema culture. I am really confused about the schedule, where is the latest and most accurate? I have another schedule that states that some of the films will be shown twice, and there is a time difference in one of the films I want to see. Why no phone number? Help! Sorry for any confusion. Our phone number and email is listed under contact on the website. 801.746.7000 – info [at] utahfilmcenter.org, please feel free to call or email us and hopefully we can sort this out. You do such amazing work! How is this even possible? Thank you, Joey! We have a great staff and board and are supported by a wonderful member and donor base. Are thes library screenings also outdoors? Can food/drink be brought in or purchased? lobby of the building. Per Library rules, only water is permitted in.